After more than ten years experience analysing career success and the progression of ambitious accounting and finance professionals, recruitment expert Brad Eisenhuth has discovered the factors that differentiate the best from the rest. 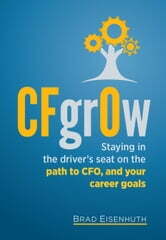 He’s used this knowledge to create a system that will allow you to stay in the driver’s seat on the path to CFO. 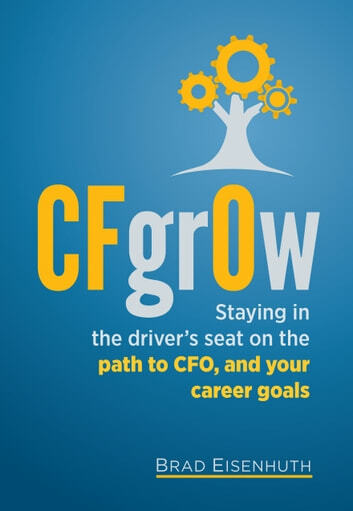 CFgrOw provides a practical and insightful overview of career management, helping you on your journey to the CFO chair and, ultimately, to finding your career sweet spot. Brad takes you through the elements that will provide fast-tracked and sustained success in corporate business - his Eight Pillars of Career Success: 1 Creating clarity in your goals 2 Practising self-awareness 3 Effectively managing channels to new growth opportunities 4 Surrounding yourself with the right relationships 5 Always performing to a high standard 6 Making smart decisions and understanding consequences 7 Hiring the best talent available to support your journey 8 Having influence Whether it’s becoming the CFO of a top-20 ASX-listed company, a division of a global business, or a private enterprise, the foundations covered in CFgrOw can play a huge role in reaching your goals. Once implemented, the eight pillars will have a remarkable impact on your career, and the satisfaction you gain from it. With over a decade in the recruitment industry, including the placement of hundreds of senior accounting and finance professionals and working with top executives in a wide variety of industries, Brad Eisenhuth is covered on all things ‘career’. Brad is a Director at [axr] executive recruitment, and an expert in interviewing and recruiting for top CFOs and their teams, advising on team structures, coaching on interview techniques, career planning and management, resume building, online profile marketing, decision making and much more.